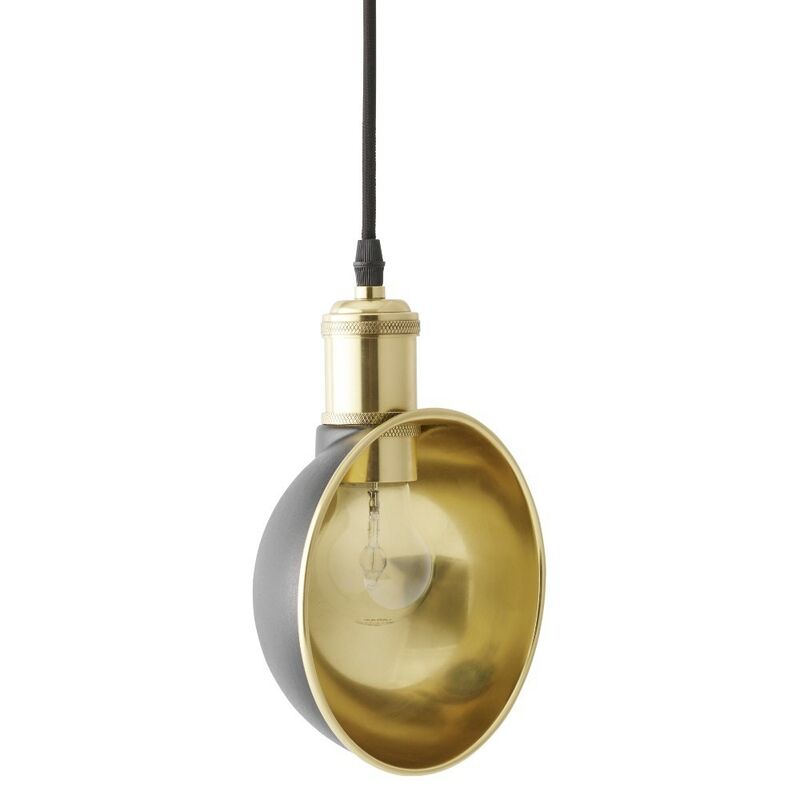 Inspired by New York City glamor in the late 1930s, the Duane Pendant Light is a functional light fixture that doubles as a retro-chic piece of art. 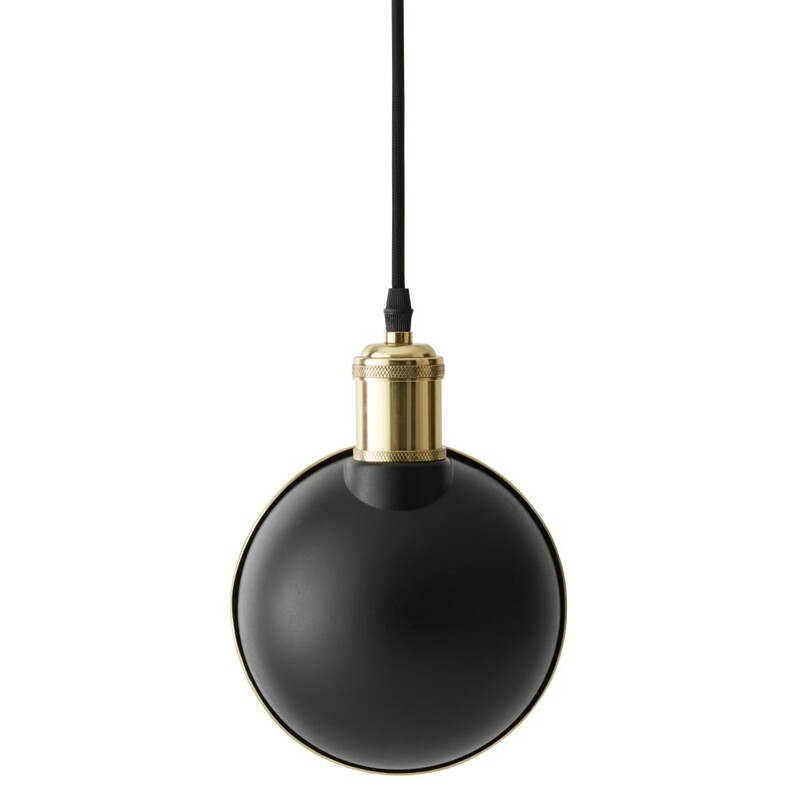 Featuring a half-sphere shape, the shade of this modern pendant light is made from steel with a black-powder coated exterior and brass finished interior, and possesses a socket made from porcelain. 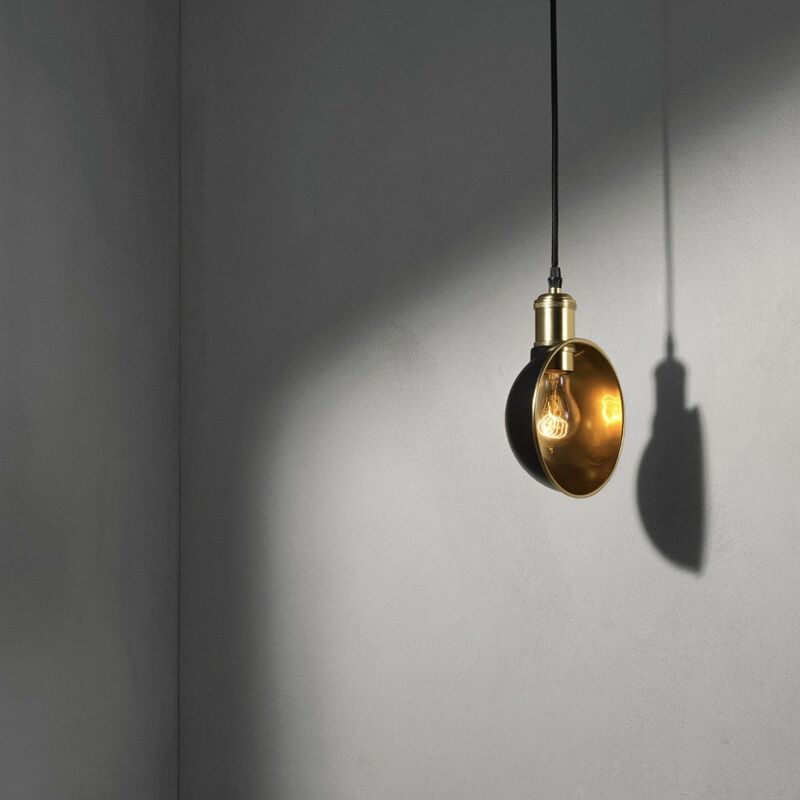 Showcasing an exposed light source, when the fixture is illuminated, light is reflected off the inside of the shade creating warm, ambient light. 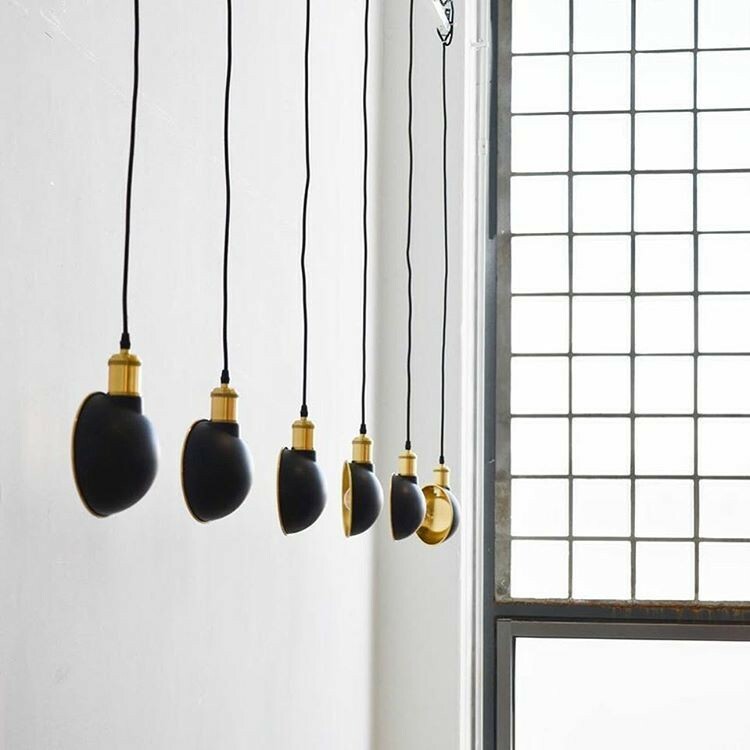 This decorative pendant light is perfect for making an elegant, glamorous statement in hallways, bedrooms, dining rooms, and living room spaces. 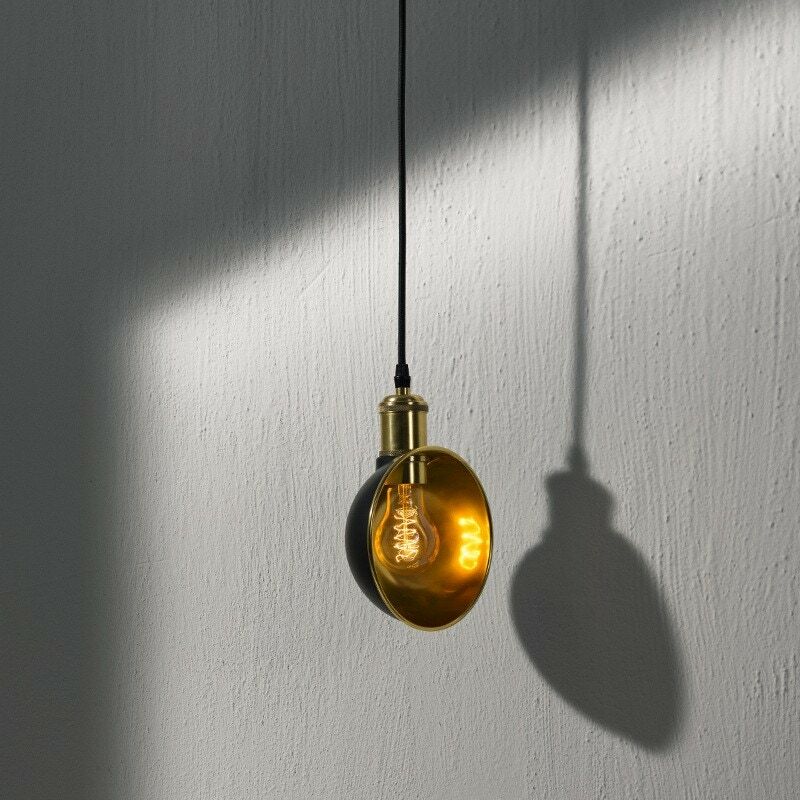 Ships with cord with plug.